Senate President Pro Tempore David Long, R-Fort Wayne, left, and House Speaker Brian Bosma, R-Indianapolis, take questions during a response to Gov. 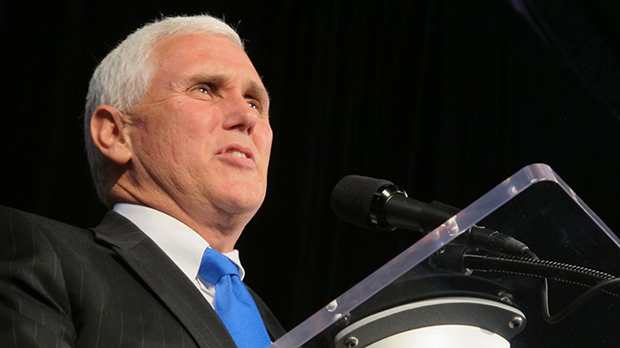 Mike Pence's State of the State address Tuesday night. Gov. Mike Pence may have made a name for himself in Congress as a social conservative, but he wasted no time last week establishing his bona fides with the tax-cutting wing of his party. On his second day in office, the Pence administration rolled out its budget proposal, calling for a 10 percent cut to Indiana’s income tax rate — all while boosting funding for K-12 and higher education. Pence’s pitch points align nicely with the arguments of several other Republican governors across the U.S. — including others potentially eyeing 2016 presidential runs — who are calling for lower taxes as state revenues creep back to pre-recession levels. But several leading General Assembly Republicans are lukewarm at best on the governor’s proposal, preferring to restore even more than the $300 million in education funding former Gov. Mitch Daniels cut in 2009 and shore up the state’s budget for the long haul. Pence’s budget proposal would boost K-12 funding by $137 million over the next two years, permanently fund full-day kindergarten and offer the “first new operational dollars for higher education” in years. But Democrats in the Indiana General Assembly say those increases don’t quite restore the $300 million carved out of the education budget. Bosma, too, would prefer to put more of the state’s budget surplus back into education. Bosma declined to say how much more money House Republicans would appropriate for education in their budget, saying they’re still debating those numbers internally. 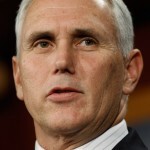 Pence’s budget calls for a K-12 funding increase of more than 2 percent over the two years in the state’s next budget. Add in Pence’s proposed income tax cut and that would still leave projected surpluses of at least $238 million in each of the next two fiscal years. “When it comes to our public schools, I believe we should fund excellence in our schools and our teachers,” Pence said in his State of the State address Tuesday night. “I believe we’re making very healthy investments into our schools,” Pence Budget Director Chris Atkins told lawmakers on January 15. Gov. Pence is well acquainted with my thoughts in this regard and we’ve both been very respectful of each other. He has said his job is going to be to convince us otherwise and my job is going to be to assure that taxpayers are protected not just for two years but for the long haul. How Pence administration staff and General Assembly leaders come together on the two pressure points — the tax cut and education funding — is therefore critical to what the state’s budget will look like in April. Bosma is also hung up on Pence’s method of funding transportation, writes Eric Bradner on his Capitol Journal blog. But others, like School Matters’ Steve Hinnefeld, question Pence’s proposal to distribute K-12 funding increases based on school performance. One possible solution to all of this? Implement Pence’s tax cut — and get rid of the automatic taxpayer rebate, writes the Indy Star‘s Chris Sikich. Also, colleague Joe Wertz at StateImpact Oklahoma writes about a similar situation in the Sooner State, where the GOP governor’s income tax proposal fizzled in the Republican-controlled legislature last year. 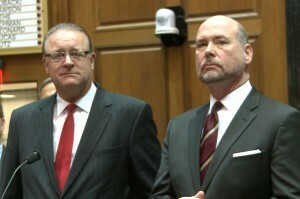 Indiana Public Media News reporter Dan Goldblatt contributed to this report.